Real Estate Rewind; What Would You Do Differently if You Started Over? Real Estate Rewind; What Would You Do Differently Today if You Started Over? I have a “Freebie” for you today. Most real estate investors out there will tell you that there are many things they would do differently (myself included). In this book “Real Estate Rewind”, you will find successful real estate investors that will tell you exactly what they would do differently if they could “rewind” and start over with more information and more experience. Some will tell you about the mistakes they could have avoided if they only had a little more information at a particular stage of their investing career. They willingly share their mistakes, their setbacks and they have advice on how you can avoid the same pitfalls. They also share their victories which are important to hear about. When we have those inevitable setbacks and problems in our real estate investing career, it is often the victories that help us keep going through the rough patches. I hope you will take this book and consume it; take it all in and learn the lessons others have so willingly shared. Each one of the authors in this book spoke about their experiences, and every one of them did that in a little different way. 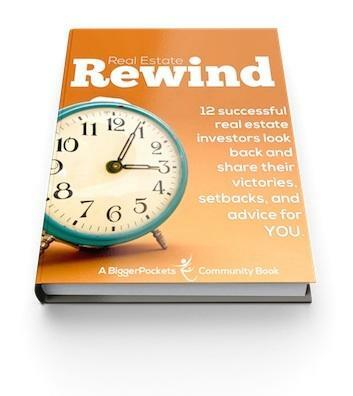 I think you will agree that each one of the chapters in Real Estate Rewind contains valuable tips and practical information that anyone can implement. Some of the authors focused almost solely on the art of the deal; making money, money that was lost or a little of both. Others focused on the systems, outsourcing and other important topics. It's important to note that all of these topics are equally important. These are all of the things that make up a successful business. You can find my chapter on page 89 (shameless plug). In my chapter I focused on all the things that would have grown my business faster and with a whole lot fewer headaches. My list of 12 “Real Estate Rewinds” is a combination of systems and processes I would change, as well as business building and branding tips for your business. Don't think that just because you are brand new, you shouldn't think about branding and building your expert status right from the beginning. These are things that will eventually make you more money and make you an expert in your niche. I hope you enjoy this book as much as I did, and that you use it as a resource in your business. You can download your FREE copy here today.